What’s going to warm up your hands once you’re sick of mulled wine? The humble hot chocolate is here to help. Patron saint of winter the hot choc gets a makeover of epic proportions at each of these London locations, with no Cadbury’s powder in sight. Where else to go for the ultimate chocolatey treat than Hotel Chocolat? This tasty treat is available at the cocoa cafés inside many of their London stores. Grab a specialty hot chocolate, made with only real chocolate (no powders or syrups) and topped with chocolate whipped cream and chocolate flakes - plus a fresh cake to dip in it, if that’s not enough chocolate for you. Try their Salted Caramel & Clementine or Gingerbread Hot Chocolat for the ultimate Christmas drink. 2. Nutella Hot Chocolate, Cereal Killer Cafe. Calling all Nutella obsessives! 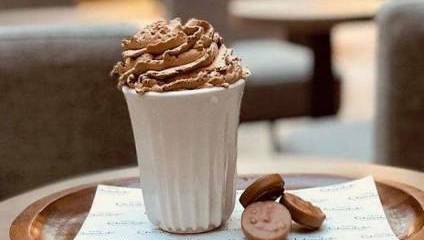 You will melt for the Cereal Killer Café’s sumptuous Nutella hot chocolate, which in true Cereal Killer style includes coco pops and oreos along with its classic whipped cream and Nutella rim. If you’re a chocoholic and you haven’t visited Choccywoccydoodah, you haven’t lived. It’s quite possibly the best-named café in London, and as you can imagine, they don’t exactly skimp on their chocolate ingredients. You can get a whole chocolate feast including a luxurious hot chocolate in their London Cake Salon or private parlour at their London location. Ok, so they aren’t technically hot chocolates, but this list wouldn’t be complete without mentioning the most influential Americana import since the return of populism: freakshakes. And nowhere are the freakshakes freakier or shakier than Maxwell’s. You can try the OTT creations in the flavours of your favourite chocolate bars, such as Mars, or go for one of their nerdier creations. They currently have Pokémon themed shakes, so choose your starter and get going – will it be Squirtle or Bulbasaur? Chin Chin Labs are best known for their physics-defying feats of ice-cream, but in the winter months, when holding something frozen with liquid nitrogen in your hands is the last thing on your mind, you can alternatively get a scientifically-proven-to-be-extremely-tasty hot chocolate at their store. Made with Valrhona chocolate, the drink is super rich and you can add hand-torched marshmallows, too. You can also opt for their vegan version, with notes of raspberry and apricot. Yum!